Beddington Farmlands has been recognised as an important area for nature for over 100 years. Accordingly, the site has been designated as a Site of Importance for Nature Conservation and Metropolitan Open Land. Throughout its history, Beddington Farmlands has seen many changes in land use. 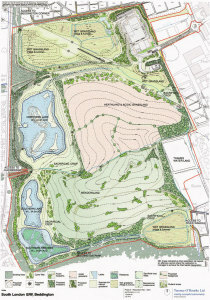 Currently the area is being developed into a public nature reserve as part of a restoration programme by Viridor, who have an active waste management operation on site. 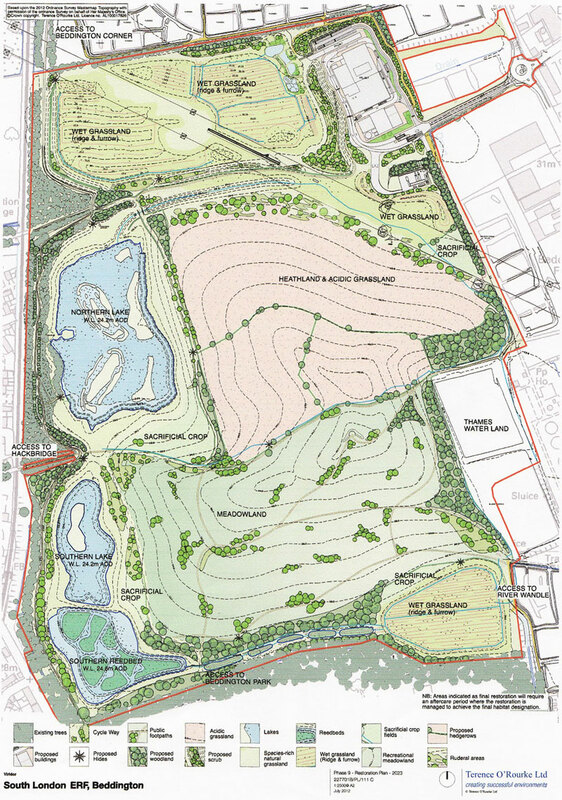 The reserve development involves a partnership between Viridor, the London Borough of Sutton, Beddington Farm Bird Group, site ecologists, conservation organisations, local businesses and community groups. A new management body, the Conservation and Access Management Committee, is in the process of being formed, and in the near future a reserve warden will be appointed. While restoration is on-going the site has restricted access to the public. However, there is a permitted footpath, open throughout the year, that runs alongside some of the most important restored habitat and includes a viewpoint over the North Lake, so visitors are very welcome. In partnership with Viridor, the Beddington Farm Bird Group have key-holder access to the site. The work of the Group includes monitoring wildlife, reserve publicity, tour guiding and report writing. A Beddington Farmlands BioBlitz is also currently under way, to create an inventory of all the species of flora and fauna that occur on site. Keen professional and amateur naturalists who would like to contribute are encouraged to join and get involved. On our website you will find all the latest news from Beddington Farmlands including conservation updates, forthcoming public events, bird sightings and recent publications. Complete species lists can also be downloaded for the rich biodiversity found here.